Dark Almonds are made from premium locally sourced produce, smothered in rich, dark chocolate. 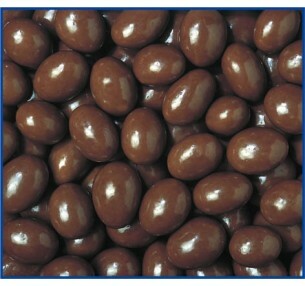 INGREDIENTS: Dark Chocolate (87%) (Sugar, Milk Solids, Cocoa Mass, Cocoa Butter, Emulsifiers (Soya Lecithin,476), Flavour. Glazing Agent (904), Gum Acacia (E414), Dry Roasted Almonds (13%). Dark Chocolate contains 43% Cocoa Solids and 3% Milk Solids. Chocolate Almonds are whole roasted almonds covered in delectable milk chocolate. Pick up a pack .. 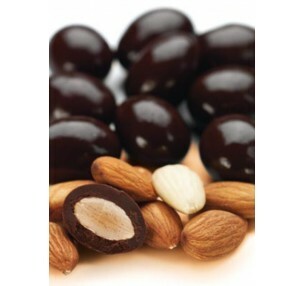 Dark Almonds are made from premium, locally sourced nuts and smothered in rich, dark chocolate. G.. 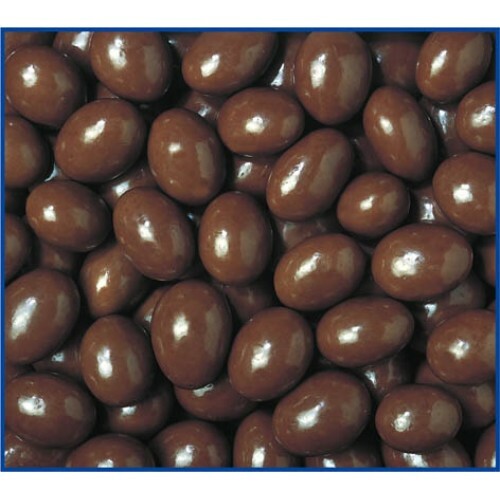 Dark Almonds are made with whole roasted almonds, coated in rich dark chocolate. Buy by the ..